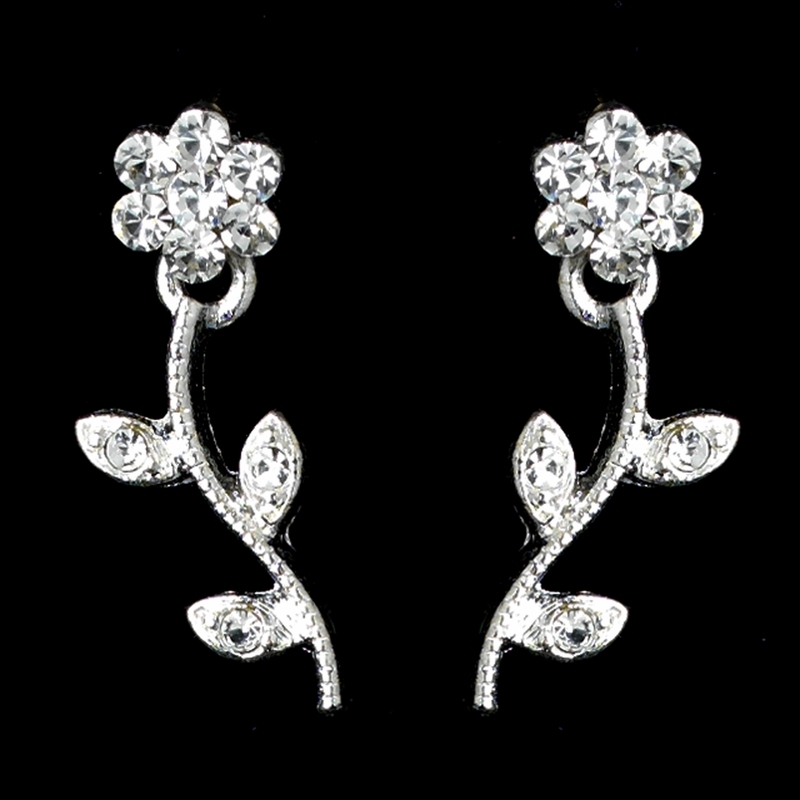 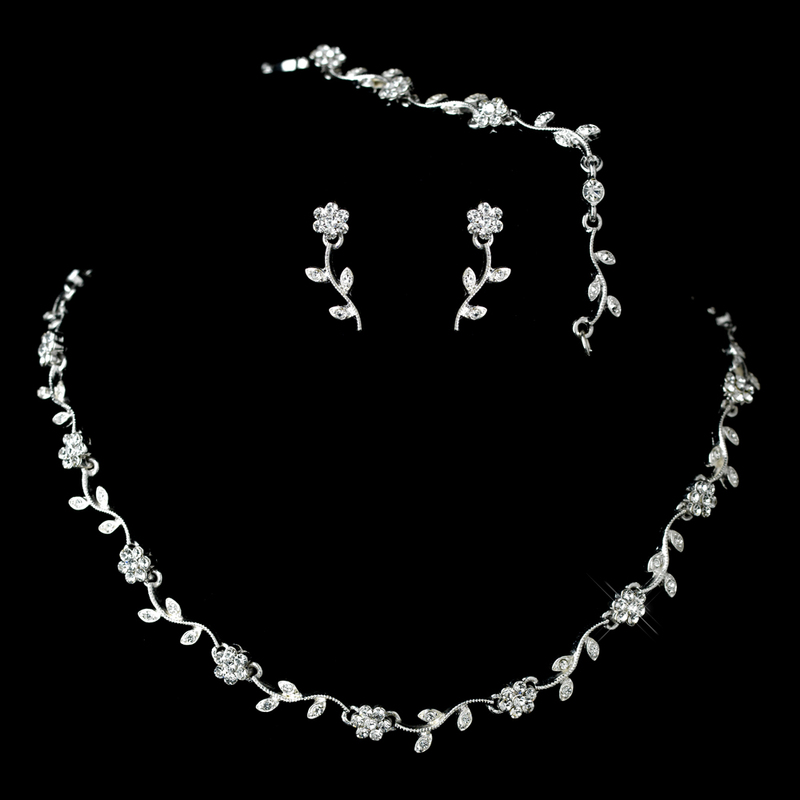 A beautiful floral necklace, earrings, and bracelet set that shines radiantly for any occasion. 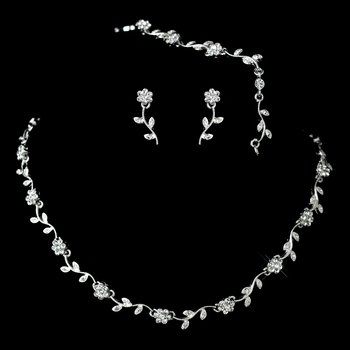 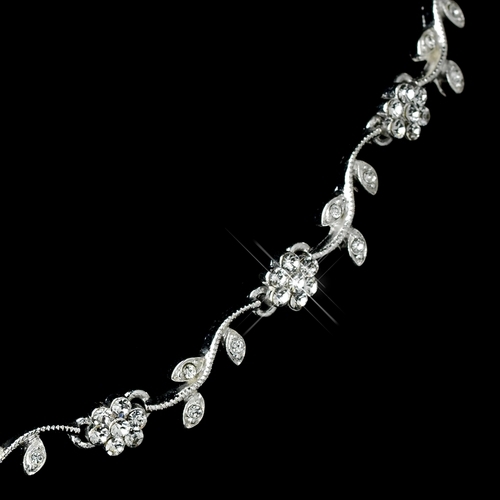 The silver chains creates a wonder leaf vine design encrusted with rhinestone and with patterns of rhinestone flowers that match together perfectly in this complete set. Perfect for spring/summer theme weddings, prom, or any fun festive occasion.